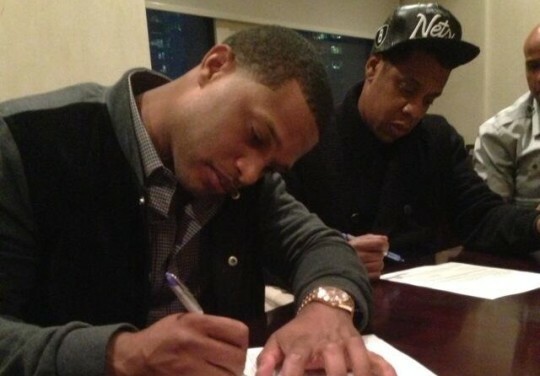 It has been reported that New York Yankees’ second baseman, Robinson Cano, and his agent Jay-Z, are seeking a 10 year contract worth $310 million. It will take some “big pimping” to find a suitor this winter. It is not that he does not bring that sort of value to the table, but Cano has less leverage than he will need to ink that deal. $31 million per year is roughly a third of many team’s entire payroll. His desired salary will likely limit his potential market to only a handful of teams. Those teams are not likely to fight for the chance to give a second baseman that kind of money, even if they felt like he could take them to the next level. What separates Robinson Cano from other second basemen? Cano has exceptional defensive ability for the position. He possesses some of the best range as well as an above average glove and arm strength. He is not the only second baseman with that type of defensive impact though. While only committing 6 errors this year, he took a noticeable step backwards from 2012’s Golden Glove Award winning season. It was his second award for being the best defensive second baseman in the American League. He should be back in the conversation for another golden glove, but it will difficult to dethrone Boston’s, Dustin Pedroia. At 30 years old, it can be assumed that Robinson Cano will not be getting any faster. In 2013, he stole a modest 7 bases. He has a career high of 8 stolen bases, with a career total of 38. He has also been caught stealing 28 times, which suggests there is no base stealing potential. It is not particularly concerning that he has low steal numbers, because it is not common for second basemen to steal many bases. Also, Cano has only hit one triple in the past two seasons. Speed is one of the five tools that some possess, and his lack of speed makes him a 4-tool player because he has power and contact along with arm strength and fielding ability. The lack of speed will not likely weigh in on his contract negotiations much, but it certainly will not help his cause. It is safe to say that Robinson Cano has the best bat of any second baseman in the league. Just shy of 30 home runs a season, and consistently batting over .300. He has deservingly received the American League Silver Slugger Award for best hitter at second base for four consecutive years. He is capable of scoring and driving in 100 runs annually. The only knock on hitting is that he regressed considerably in extra base hits and runs scored in 2013, which also happens to be his contract year. This year, Robinson Cano and the New York Yankees did not see any postseason action. Any team interested in Cano’s services wants to know what he has to offer in October, will have to refer to the 2012 playoffs, where he hit 3for 40 with one walk. To put those numbers in perspective, Prince Fielder of the Detroit Tigers has recently been traded after hitting 9 for 40 with 3 walks. He signed a 9 year, $214 million contract after the 2011 season. Fielder hit much better than Cano in their last playoff outings and his contract and the inflated expectations that follow should be a warning for any team looking to invest in Cano this winter. Will Robinson Cano be signed for $310 million? Doubtful. Cano just does not have enough ammunition in negotiations. There is not a franchise in this league that can justify signing a second baseman for $30+ million per season. Dustin Pedroia’s contract will be used as a starting point for negotiations. That means that the $310 million Cano is seeking will be weighed down by the 6 years/$85 million that Pedroia signed for. An argument can be made for Pedroia, being the most valuable second baseman in the league. Just ask his MVP Award. Rapper Jay-Z is new to the sports agent game, and seemingly overconfident at this point. No harm in setting unattainable goals. He will still likely net his client a contract well worth over $200 million. However, anything over $250 million seems a bit too ambitious for a 30 year old second baseman that underperformed in his contract year.